10:10 AMNicole Lyons is the first African-American female driver to race in the National Hot Rod Association’s Top Sportsman Division. Her story: Lyons, who followed in her father’s footsteps as a race car driver and engine builder, started in the NHRA Super Street class in 2005, then moved on to Super Gas and Super Comp the next season. She the first black woman to compete in the NHRA Top Sportsman and American Drag Racing League Top Sportsman classes. She also made her mark in Outlaw Pro Mod, winning several events. In 2013, she started racing in the NASCAR Whelen Series, a points championship for short track racing. Not only is she the first black woman to finish a Whelen race, she is the first woman to compete in NASCAR and NHRA in the same season. Lyons is the owner of Cole Muscle Cars, a restoration shop. She was featured as an engine specialist in the former reality TV series Car Warriors. Fast fact: Lyons’ late father, Jack Davis, was a street racer in the Los Angeles area. 6:42 AMLOS ANGELES — Back in the ’90s, a kid named Kendrick Duckworth fell in love with the Nike Cortez. After getting his first pair at a local swap meet, he’d often rock the kicks as a complement to his trademark swag of tall socks and khaki shorts while frolicking in the streets of his hometown of Compton, California. About two decades later, that youngster is now known around the world as the Grammy Award-winning Kendrick Lamar. Via a partnership with Nike, Lamar has his own version of the iconic Cortez. During 2018 NBA All-Star Weekend the Cortez Kenny II was presented — the second installment of his own line of the shoe he grew up donning. 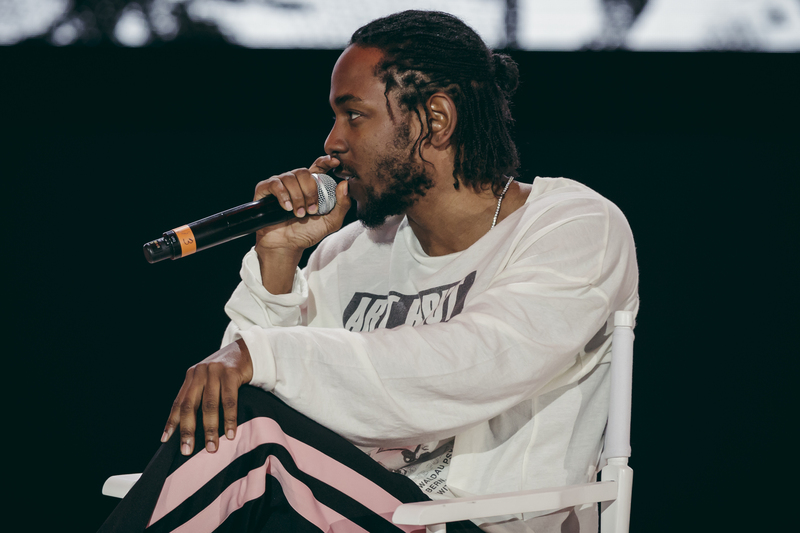 In late January, in the lead-up to the 60th annual Grammys, at which Lamar took home the award for best rap album for his double-platinum masterpiece DAMN., Nike debuted the Cortez Kenny I, a predominantly white shoe that’s highlighted by the outsole of the upper, where the title of the album — DAMN. — is printed. The new Kenny II, also referred to as the “Kung Fu Kenny,” is red with white and black accent, featuring a lace holder that reads “DON’T TRIP” and the word “Damn” written in Chinese script on the toe box.” ‘Don’t Trip’ — it’s a classic L.A. feel. 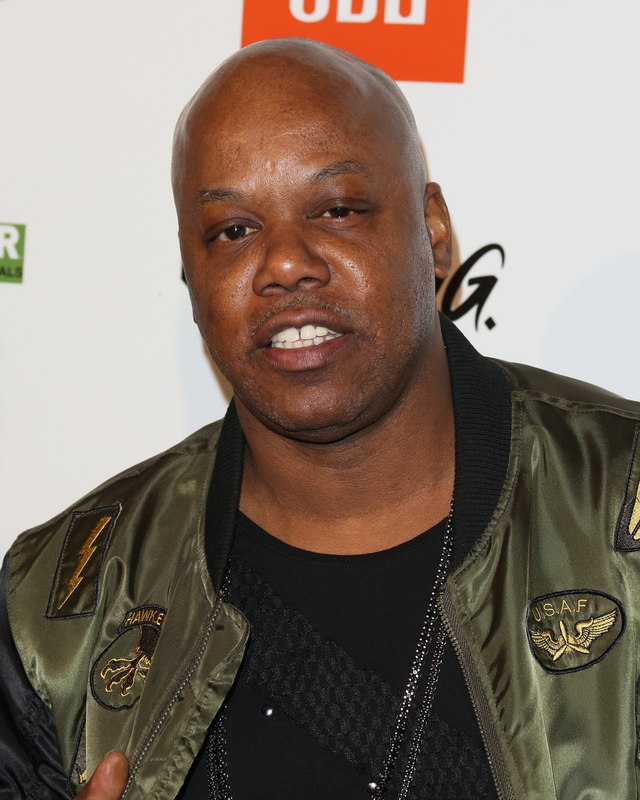 It’s open context for anything,” Lamar quipped. Nike, at Kendrick’s request, also threw it back to old days of lacing up shoes with shortened strings. “I just like all my laces to be short like that,” he said. “That’s how we rocked them coming up, when we was in grade school, high school, or just in the city.” In terms of creativity, Lamar compared the process of designing a shoe to the way he approaches crafting an album. And when it came using the Cortez as his canvas — especially while drawing upon his youth in Los Angeles — he didn’t have to search far for inspiration. Before the official release, Nike and Lamar made sure that women were the first to experience the shoe via seeding — getting product in the hands of influencers early to allow for grassroots promotion. So perhaps the most important aspect of the Cortez Kenny II came through the shoe’s calculated rollout, which sought to quell the myth that in the male-dominated world of footwear women aren’t sneakerheads, too. 1:50 PMLeBron James and Kevin Durant are celebrating an All-Star victory after the two and Team LeBron beat Team Stephen 148-145 in the last seconds of Sunday night’s NBA All-Star Game in Los Angeles. But they knew they were winners before even stepping on the court. The ballers spent some time with Cari Champion for a collaboration between Uber and Uninterrupted entitled Rolling with the Champion. During their conversation, they humbly declare that they are the top two All-Stars in the group of 24. The champs certainly kept it real in the car with Champion. Check out more of their conversation on Uninterrupted. 10:04 AMAs thousands of NASCAR fans filed in to Daytona Beach International Speedway on Sunday for the sold-out Daytona 500, Desiree Wallace sat nervously in the No. 43 pit box alongside the pit road. Below, awaiting the green flag that would start the race, was her 24-year-old-son, Darrell “Bubba” Wallace Jr. When Desiree Wallace sees the waving flag and hears 40 engines revving on the track, nervousness settles in quickly — just like it does every time Wallace races. This year brought added pressure: He is driving the No. 43 car made famous in the 1970s by NASCAR legend and seven-time Daytona 500 champ Richard Petty. And he’s the first African-American driver at Daytona since 1969. Be smart, be patient, be focused is what she always tells her son. As Wallace circles the 2.5-mile, tri-oval track for 200 laps, she hopes that he is protected by that advice. The race went smoothly until a major crash during lap 59 wiped out nine cars. Desiree Wallace jumped up to search for the No. 43. Her son had escaped the damage. Twice more, she would pop up when crashes sent multiple cars flying one way, and debris flying the other. Each time, Wallace was spared. 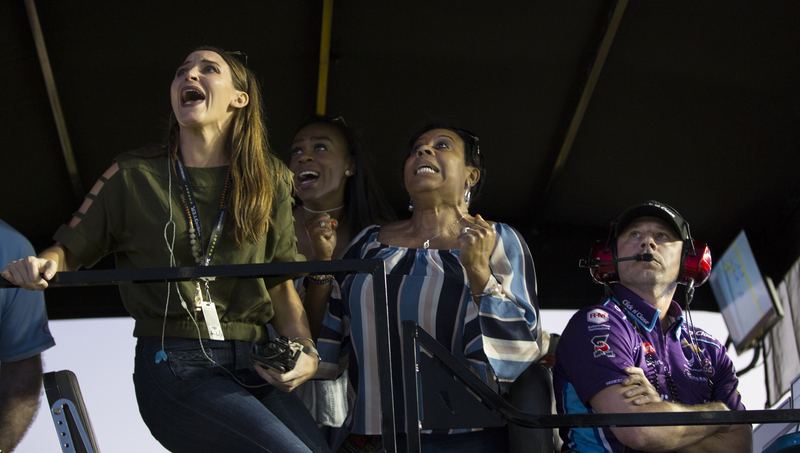 Darrell “Bubba” Wallace Jr.’s girlfriend Amanda Carter, left, his sister Brittany Gillispie, mother Desiree Wallace, middle and pit crew chief Drew Blickensderfer show their emotions as they watch the last lap of the Daytona 500 at the Daytona International Speedway in Daytona Beach, Fla. Wallace finishes the race in second place. After three hours and 31 minutes, Desiree Wallace’s nerves subsided after one last lap around the track sealed Wallace’s second-place finish. It was the highest finish for an African-American driver at the Daytona 500. Wendell Scott held the previous record with a 13th-place finish in 1966. As winner Austin Dillon addressed the media on Victory Lane, Desiree Wallace made her way to the media center. Before the first question was asked, the proud mother met her son on the podium to wrap him in a hug. Asked to describe what he was feeling, Wallace tried his best to pull himself together. Desiree Wallace thought back to last season, when her son — despite finishing among the top 10 in eight of his 13 races — struggled to secure sponsorships while racing in the NASCAR Xfinity Series. His driving future felt uncertain, and when Petty decided to put him in the iconic No. 43, not every fan took kindly to Petty’s decision. Those moments are what left the mother and son overcome with emotion. Wallace left the speedway Sunday as Daytona 500’s highest-finishing rookie. The No. 43 paraphernalia in the vendor trailers parked throughout the track nearly sold out. And watching along with the fans lining up for autographs was an emotional mother who couldn’t be prouder of her son. 7:02 AMBill Lester is the first black driver to win a Grand Am race. His story: Lester was born in Washington, D.C. and moved with his family to the San Francisco, California area. His parents took him to a race track when he was 8 years old, and from there he was hooked on auto racing. He later enrolled in the Sports Car Club of America (SCCA) driving school. Lester, after getting his bachelor of science degree in electrical engineering and computer science from the University of California at Berkeley, worked at Hewlett-Packard for 16 years while racing on the weekends. He competed in SCCA races, winning regional rookie of the year in 1985. He continued as a weekend racer until 1998, when he took a leave of absence from his job to pursue the sport full time. In 1999, Lester became the first black driver to compete in NASCAR’s Busch series, now the Xfinity Series. He also competed in NASCAR’s truck series and took part in the Champ Car African-American driver development program. Lester joined Wendell Scott as the only black drivers to win a pole position for a major NASCAR race when he finished first in qualifying for the 2003 Hardee’s 200 truck race. He raced twice in NASCAR’s top division, the former Nextel Cup Series, in 2006. He returned to the Grand Am Rolex Sports Car Series in 2008, and three years laster he won at Virginia International Raceway to become the first black driver to finish first in a Grand Am division race. Fast fact: Lester is the first black driver and first truck series driver to appear on a cereal box (Honey Nut Cheerios in 2003). 1:28 PMWendell Scott was the first black driver in NASCAR and the first to win a race at its highest level. His story: Scott was born in Danville, Virginia. He learned to be an auto mechanic from his father and opened a shop after serving in the Army during World War II. He started racing on the Dixie Circuit because blacks were not allowed to race in NASCAR. He won his first race in Lynchburg, Virginia, and would compete up to five times a week. He persuaded Mike Poston, a NASCAR steward, to grant him a NASCAR license during an event at Richmond Speedway in 1953. He spent almost nine years at the regional level before moving up to the Grand National division in 1961. He debuted in the Spartanburg 200 and two years later won the Jacksonville 200 to become the first black driver to win a race in NASCAR’s top division. But Scott, who faced racism throughout his career, was not initially declared the winner, as second-place finisher Bud Baker received the checkered flag. Scott was later given the victory after officials sorted through an alleged clerical error. Scott competed in 495 Grand National races, with 147 top-10 finishes, before he retired after an accident in 1973. Smith did not live to see his induction into the NASCAR Hall of Fame in 2015. He died of cancer in 1990. Fast fact: Richard Pryor starred in Greased Lightning, a 1977 movie about Scott’s life. 1:03 PMWhile Adidas flexed its muscle on All-Star Saturday night, mustering a rare public appearance out of Kanye West, who joined Kid Cudi on stage, Nike held court with its own full-fledged concert headlined by Kendrick Lamar in its Makers of the Game weekend series. Kendrick Lamar arrives at the Nike Makers H.Q.’s where he talks about his collaboration with the shoe company and the launch of the Kendrick-inspired Nike Cortez sneaker. And the man of the hour, himself, did not disappoint. Kamaiyah, Sabrina Claudio and H.E.R. all heat the stage up for Lamar to burn it down. Holding the crowd in the palm of his hand, his set was as much an intense choir rehearsal as an incredible live performance. Fan favorites “LOYALTY.,” “HUMBLE.,” “LOVE.,” “Swimming Pools,” “Money Trees,” “Levitate,” the soul-cleansing “Alright” and countless more records had the floor shaking, joints sparking and friends rapping to each other for the better part of 45 minutes. From performing at the college football national championship, winning multiple Grammys, scoring the soundtrack for what will be the biggest movie of the year (and one of the most successful ever) in Black Panther to now this invite-only event in his hometown of Los Angeles, Kendrick Lamar is as powerful as he’s ever been. 12:17 PMDwyane Wade made quite an entrance through a small, intimate crowd of fans — set to the track of Meek Mill’s “Dreams and Nightmares.” He stood on the stage and accepted the fanfare that some of his biggest fans — many in Miami jerseys bearing his name, some in Chicago jerseys — gave him at an event designed to unveil his limited edition All-Star WOW6 shoe, Moments. 4:30 PMLeonard W. Miller is the founder of the Black American Racers Association. His story: Miller grew up in suburban Philadelphia, where his mother worked as a housekeeper. His love for cars developed through conversations he heard on those estates. He secretly worked on his parents’ car when he was a youth. He formed the Black American Racers Association in 1972 with Wendell Scott, Ron Hines and Malcolm Durham. Scott, the first black driver to compete in NASCAR, was an honorary chairman. The group promoted black driver development and also honored black drivers, mechanics and others in auto racing. BARA grew to 5,000 members. Miller also was part of Vanguard Racing Inc. and became the first black owner to enter a car in the Indianapolis 500 in 1972. Miller wanted Benny Scott to drive the car, but blacks were denied entry into the Indy 500, so John Mahler, a white driver whom Miller tapped to work with Scott, ended up driving the car. A year later, Vanguard morphed into Black American Racers Inc., with Benny Scott as the primary driver. BAR qualified for the inaugural Long Beach Grand Prix in 1975 as one of the top 60 race teams in the world. Benny Scott finished 11th in the race. Miller later founded Miller Racing Group with his son, Leonard T. Miller. They became the first African-American team owners to win a track championship in NASCAR history when they won the stock car title at Old Dominion Speedway in Manassas, Virginia, in 2005. Fast fact: Miller wrote the book Silent Thunder: Breaking Through Cultural, Racial, and Class Barriers in Motorsports, which details his life in auto racing, in 2004. 4:00 PMPer usual, the party went until the wee hours of the morning at Kenny Smith’s annual NBA All-Star jam. The Friday night party took place on the lot of Hollywood’s Paramount Studios — yep, the place where movies and TV shows are made — giving the annual party that authentic Hollywood feel. And what’s a party in Hollywood without famous faces? 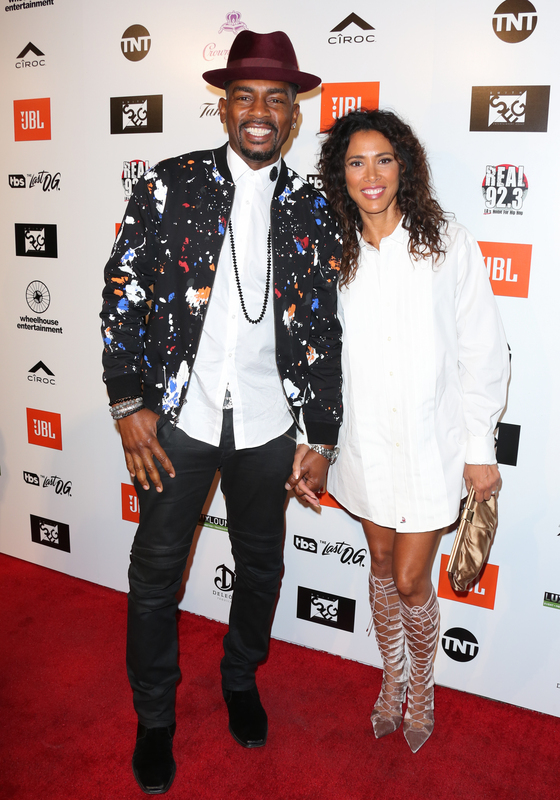 Actor Bill Bellamy (L) and his wife Kristen Bellamy (R). Mingling in the crowd were people like Tracy Morgan, Bill Bellamy, Nicole Murphy, Kim Porter, Too Short, Claudia Jordan and go-to Hollywood TV journalist Shaun Robinson. They partied to pop and hip-hop hits alongside former NBA players like Kenyon Martin and Chris Webber. Guests feasted on mini grilled cheese sandwiches, burgers and sweet pastries, crowded in on the white dance floor space and snapped selfies until after 2 in the morning. 1:54 PMMany of us remember the high-flying, 6-foot-6 phenom who took the NBA by a storm that could only be known as “Vinsanity.” From his jaw-dropping dunks to his captivating energy, Vince Carter’s journey is one of epic proportions. And so much of it is captured in The Carter Effect. The documentary, directed by Sean Menard and executive produced by LeBron James, catapults viewers back in time to explore how the eight-time NBA All-Star played a major role in solidifying the Toronto Raptors’ notoriety in the NBA and creating a basketball culture that put the city on the map. Friday night, Uninterrupted teamed up with Beats by Dre for a screening of the film, followed by a panel discussion featuring Menard and executive producers Maverick Carter, Future The Prince and Tristan Thompson. Cleveland Cavaliers forward and Toronto native Thompson explained just how influential Carter was for both him and his city growing up. “Vince was our Michael Jordan,” he said. The film, which features Tracy McGrady, Thompson, Carter and Toronto native and rapper Drake (who is also one of the film’s executive producers), captures the intoxicating thrill Carter’s arrival brought to a hockey town whose basketball team was seen as a joke amid a league of popular teams in American cities. Throughout the film, Carter discusses his arrival in Toronto, his legendary win in the 2000 slam dunk contest, his role in making the city a destination for athletes and celebrities and his heartbreaking departure. All of it is placed in the context of Toronto’s contributions to music, art and culture. The lesson: Carter is a large part of the reason that we take the city seriously today. Future The Prince truly drove that point home, telling the audience there might not be a Drake if Carter hadn’t come first. So the godfather of West Coast rap approached Adidas about creating a special event for 2018 NBA All-Star Weekend. And at #747WarehouseSt — the brand’s two-day All-Star experience, which mixes fashion, sport and music — his vision came to life, via the first annual East Coast vs. West Coast hip-hop celebrity game. The two teams featured only artists, and were coached by none other than Snoop and Atlanta hip-hop star 2 Chainz. Snoop’s roster boasted the likes of David Banner, Chris Brown, K Camp, Chevy Woods, and himself, of course, while 2 Chainz rolled with a squad that included Trinidad James, Young M.A., Wale and Lil Dicky. Originally listed as a player for the East squad, Quavo of the Migos pulled out at the last minute to take his talents to the NBA’s official Celebrity All-Star Game, during which he dazzled the crowd with an MVP performance. The rappers-turned-hoopers took to the multicolored court, named after Pharrell, in custom Adidas jerseys that all appropriately featured the word “Rapper” on the back. Actor/comedian Michael Rapaport and rapper Fat Joe served as the AND1 Mixtape-inspired on-court commentators of the contest, from which Snoop’s West team emerged victorious. New York Giants wide receiver Odell Beckham Jr. even made an appearance on the court. He’s a Nike-endorsed athlete, but on this afternoon, he couldn’t resist experiencing this cultural moment, brought to the people by Adidas.